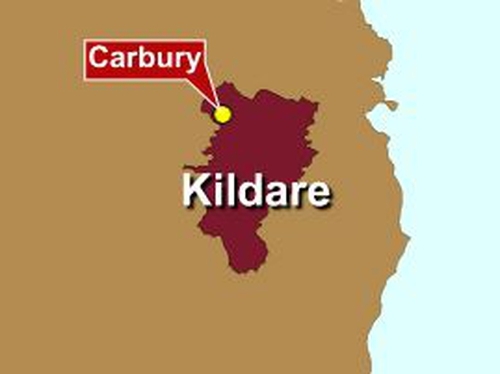 The two men that died after a helicopter hit power lines in Co Kildare and crashed have been named. 34-year-old Colm Clancy from Derrybeg, Co Donegal, and his student Dermot Sheridan, aged 24, from Co Clare, both died in the crash. The aircraft crashed yesterday evening in a remote location and the wreckage was not found until today by a Coastguard helicopter. Air accident investigators said there was no power in the lines but the helicopter appeared to strike them before impact. The Schweizer helicopter remains at the scene this evening but will be removed in the next number of hours. The two-seater helicopter left Weston Airport outside Dublin yesterday evening at around 5pm on a training flight. It was expected to fly onwards to Cork later. It was not until this morning when the two occupants' families contacted the airport that the alarm was raised. A coastguard helicopter spotted wreckage on the Bog of Allen near Carbury at 12pm. Both of the people on board are Irish but their identities are not known. Radar tapes were reviewed this morning in order to try and locate the helicopter. It is understood the wreckage is in an inaccessible location. Gardaí and emergency services are at the scene and a team from the Air Accident Investigation Unit is on its way. In a statement, the European Helicopter Academy said it operated the helicopter. It said the type of aircraft involved, a Schweizer 300CBi, is one of the most frequently used for helicopter training in the world. The academy expressed regret that the crash happened and said it would fully co-operate with all investigations taking place. The helicopter underwent its annual maintenance inspection on Tuesday.